Really Reasonable Ribbon Challenge #3~Patriotic Challenge! Please scroll down to see the Divine Divas Inspiration Challenge! Hello! It's time for another Really Reasonable Ribbon Challenge, and this time we are to make something Patriotic! I decided to make a little favor box using this adorable Bag It Up Template from Perfect Presentation. I decorated it using a fun image from the Papertrey Ink Vintage Picnic set and some gorgeous America Stripe Grosgrain Ribbon from Really Reasonable Ribbon. 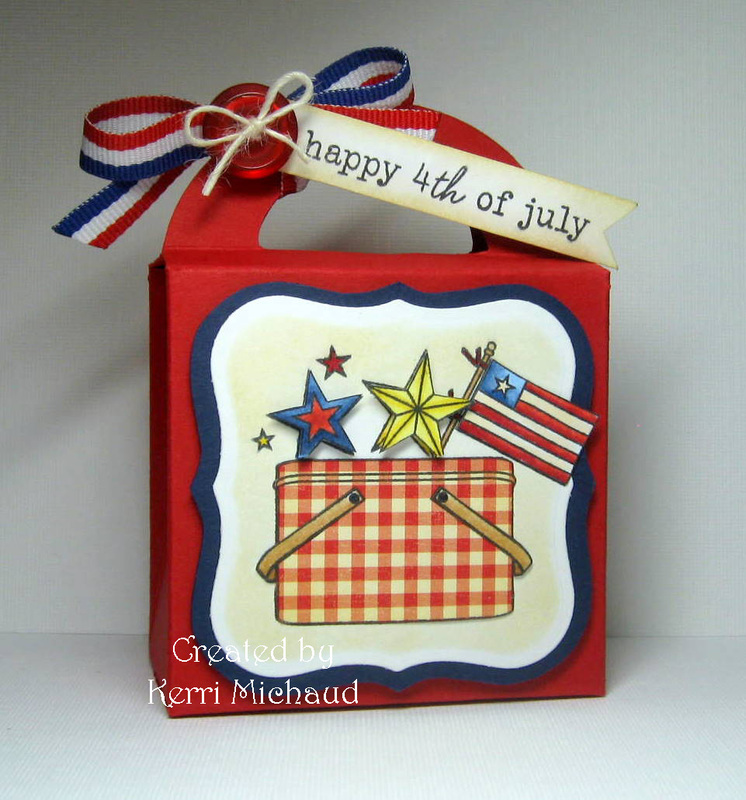 Oh...love your little patriotic box Kerri!! Too cute!! Your coloring is beautiful as is your design! Ooooh, I love this! Fabulous design! Picnics and 4th of July go hand in hand! Fantastic patriotic box! This is fabulous! Love how vintage and heartwarming this feels. Very Americana! 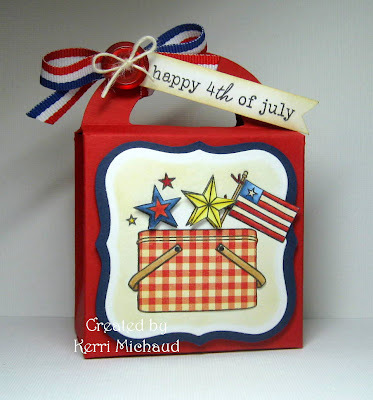 AWWW Kerri your box is beautiful...What a fun gift for the 4th....you rock lady!! OMG!!! I love it! This is going on my list of things to make next year!!! Soooo Cute!! This is awesome!! Love this. What a great idea to give the kids some 4th of July goodies in this...firecrackers to blow their little fingers off or something - - KIDDING! But I love this!! - - love the basket.